We have multiple locations to serve our patients. We can arrange for consults at either location for your convenience. These clinics offer a full range of services to meet the needs of all patients with pain disorders. Dr. Quam and Dr. Spellman each have a pain clinic one time a month at Dallas County Hospital (DCH) in Perry, Iowa. Dr. Ransdell has a pain clinic twice a month at Boone County Hospital in Boone, Iowa. To schedule an appointment for DCH, please call our main office line at 515-221-9222. To schedule an appointment for Boone, please call our East office at 515-261-7246. Consults and procedures are available Monday through Thursday, 8:00 am to 5:00 and Fridays, 8:00 am to 4:00 pm. Anesthesia for Complex Radiological Procedures including interventional procedures such as the TIPS procedure for transhepatic shunting in cirrhosis. This is a service we provide on a consultation basis at our locations. 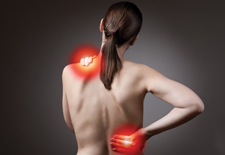 Our service is staffed by physicians and nurses who are well versed in the management of acute pain problems. Consults are available Monday through Thursay, 8:00 am to 5:00 pm, and on Friday, 8:00 am to 4:00 pm. In most cases, consults and procedures can be completed the same day or within 24 hours.